OK, technically, the Lord has built the literacy center! A few weeks ago, the literacy center exterior was done, but nothing else, and we were struggling to qualify for a free shipment of books. Qualifying meant that we had to get the interior mostly finished, including furniture/shelves and flooring by Christmas. We didn't know how long it would take for the people in Enyan Abaasa to receive the funds we sent at the end of October and November. Would they get the funds on time to purchase the materials and labor they needed to qualify, would they know what the priorities were in order to qualify? It seemed nothing short of impossible, to say the least, since we had no way to communicate this to the people in Enyan Abaasa efficiently. 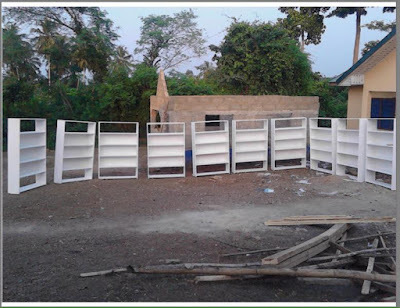 God provided the idea of hiring a messenger to deliver the message to Enyan Abaasa in person about the opportunity for books through Books For Africa, and within a week, the people of Enyan Abaasa had risen to the challenge and fully qualified to receive the books. Nothing short of God's hand, there's no other way to explain it!! It is true -- so true -- "Unless the LORD builds the house, the builders labor in vain." Psalm 127:1 God did in a mere week what we struggled for THREE years to accomplish. Nothing is impossible for Him, and all is done in His time, not ours. The literacy center construction is quickly wrapping up. The exterior is done, the interior has seen more progress in the last 3 weeks than I ever thought possible, including a cement floor, wall paint, bookshelves, finished ceilings and furniture. 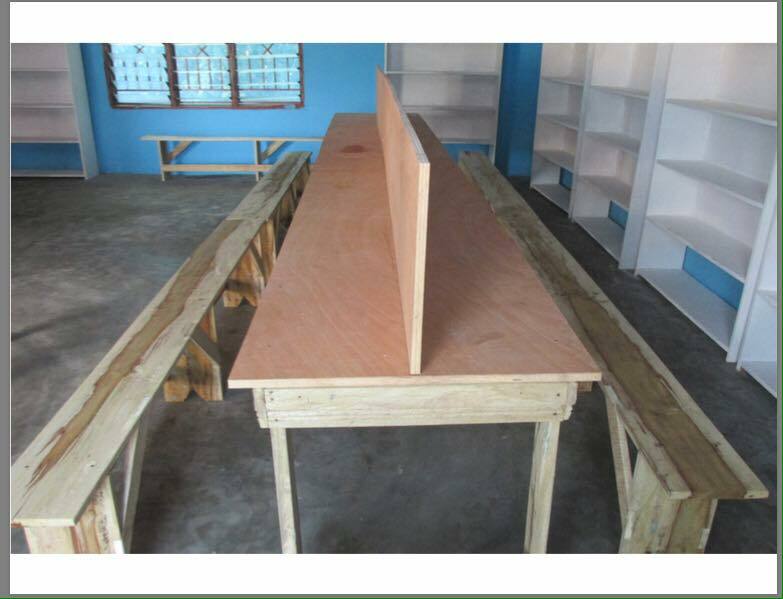 The reward was worth it -- the books arrived in Enyan Abaasa last week -- 104 boxes totaling 2200 books, sorted and Dewey Decimal labeled! We are SO thankful for the tremendous work God is doing through Kirt and Hilda Bromley and the Books For Africa Ghana Library Project ministry. The board member are preparing for the grand opening that is scheduled to take place February 2nd 2017. Less than a month, and the literacy center will be OPEN!! The books they received did not have many children's books, so we are preparing to bring children's books with us when we travel to Ghana in late February or early March. 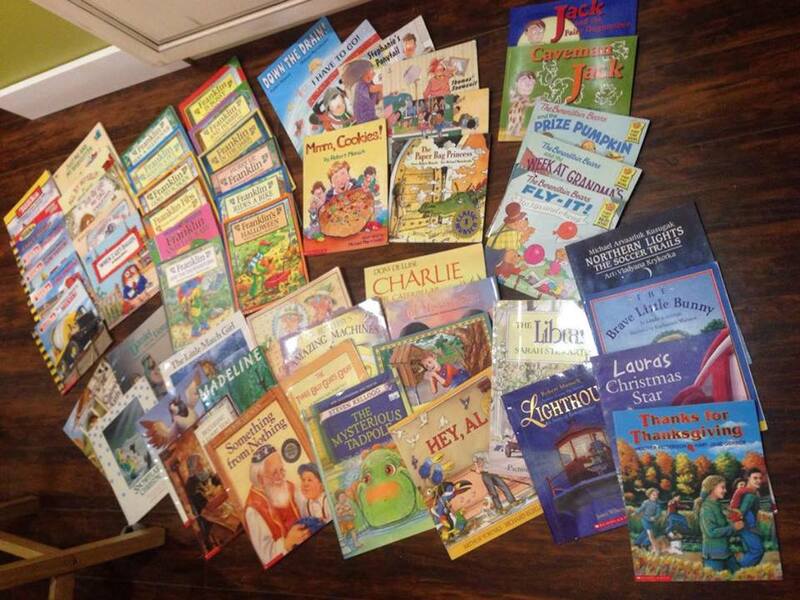 God knew we would need children's books in large quantities, though, He prepared us! 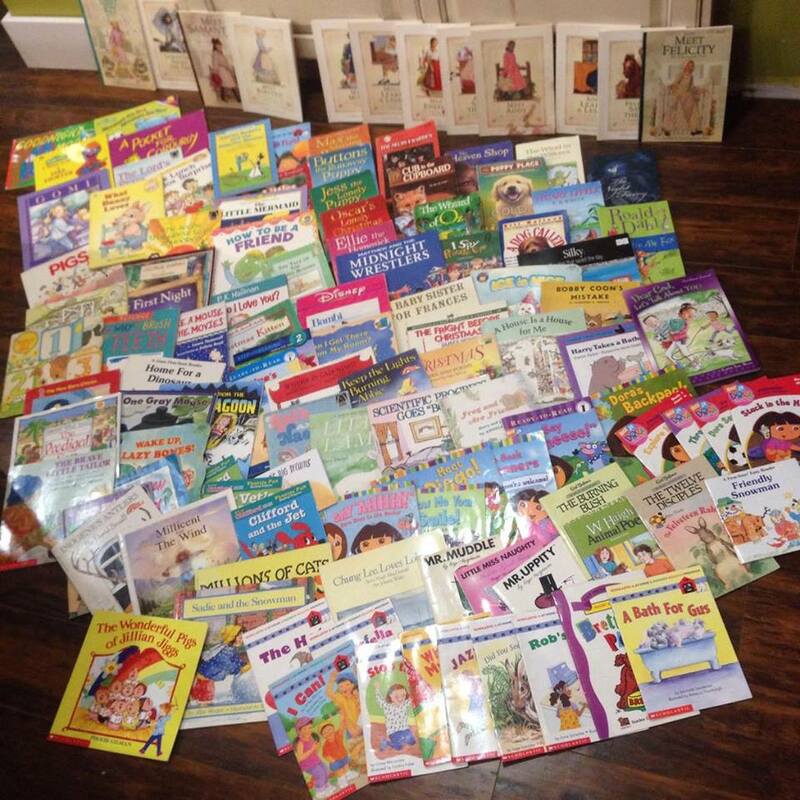 We had been collecting books since our return from Ghana in 2011, and had over 350 children's books collected. So far, with some skilled and strategic"Tetris Style" packing, that falls within our checked luggage allowance. A glimpse of our collection of soft cover fiction books, not including chapter book collections for more advanced readers. We are currently working with a travel agency to see if we can obtain a humanitarian/mission airfare in order to save some out of pocket costs or increase luggage capacity. 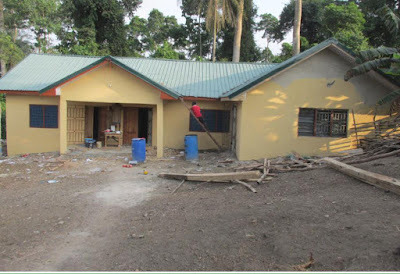 We still need a bit more funding to finish the interior -- running water, indoor plumbing and a few odds and ends, and for the attached computer literacy center, but anything is possible -- it's astounding all that has fallen into place the past 3 weeks. God has provided beyond measure, in terms of funds, books, people, encouragement, resources, communication, and more. Please continue to pray as we prepare to travel. We will use this blog along with a FB group (email Ghana@beyondmeasure for access) to post major updates and to share while we're away IF we have access to internet, or to post the stories from our time in Ghana when we return. Praying for travel logistics/planning - discernment, funding, team building, travel visa, immunizations, safety. Funds to completely finish the interior and provide for a librarian. Pray for Ato Sam's medical needs, as they look into the possibility of having him travel outside Ghana to receive the surgery and medical care he needs. That we will fully follow God in this, and not run ahead, or stray behind. 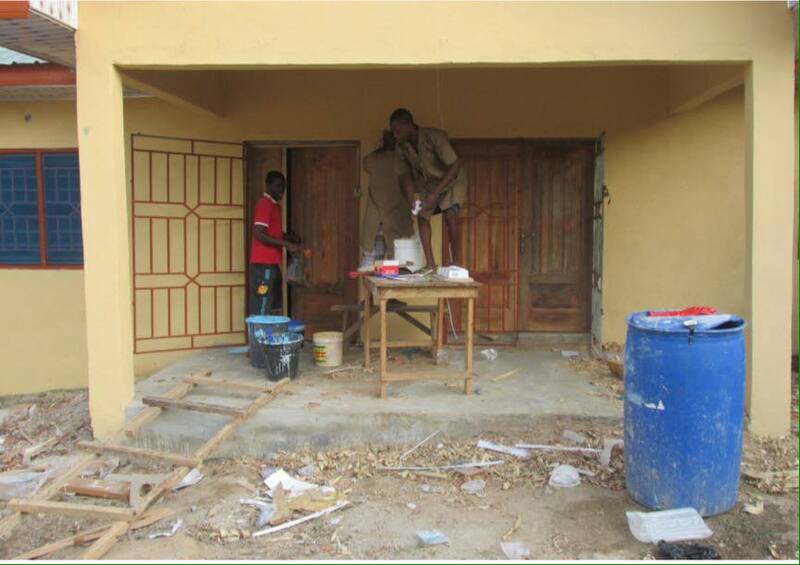 Pray for the outreach ministry this literacy center will provide to the church in Enyan Abaasa as they serve their people's needs.